After a great weekend in Camden spent wandering down the canal, or in Primrose Hill and Regent’s Park- weekdays spent home alone are going to be a shock! But don’t worry, Buddies is here to save the day! With 16 acres of private and secure countryside- just a stones throw from Central London, our facilities are difficult to beat. 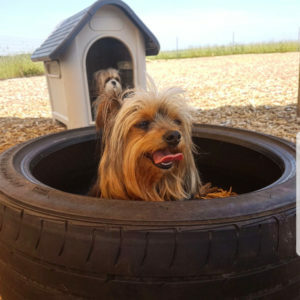 We have different areas for different groups of dogs to ensure that dogs can play in safe and sociable groups while their owners are busy at work. We only look after regulars too, so your best bud will always have the same group of four legged friends to play with during the week- including some NW1 locals! If you are looking for a safe and fun place for your new pup to spend their days, you’ve just found it! We have a dedicated area for smaller paws at Buddies- so they can grow in confidence without having to deal with full grown giants! As they grow and learn, we always make sure they are matched appropriately for their size. Absolutely incredible service, cannot recommend highly enough. My dog Franklin has been going to Buddies every work day, and boarding with them when I have to travel for work, since I moved to London a year ago. Franklin loves other dogs but can be a bit shy around people he doesn’t know, and yet he warmed up to the crew at Buddies pretty quickly. He is thrilled whenever he sees them and is always racing out the door excited to go to daycare with them (this from a dog who previously had never been happy to leave me with another person). They are 100% reliable, and clearly love the dogs. When I eventually have to move back to the U.S. it will be a little heartbreaking to take Franklin away from the joy he gets from this daycare. I can’t imagine ever finding another doggie daycare quite as incredible, both for me and him.